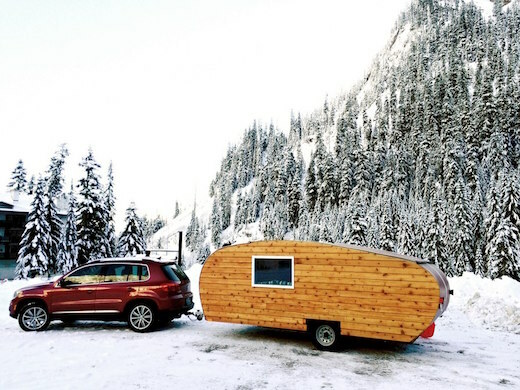 Trailers are fun to take a holiday in, and the teardrop shaped ones are cool from the inside out. 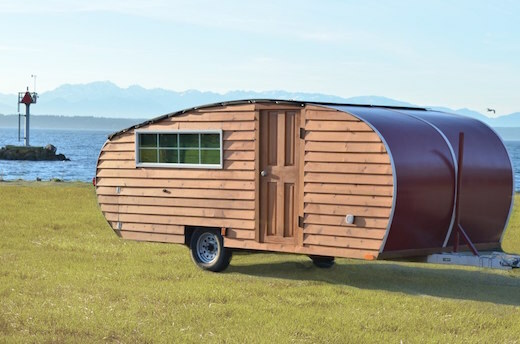 This trailer, designed by the startup Homegrown Trailers of Woodinville, WA is made of wood, which gives it an extra bit of charm. 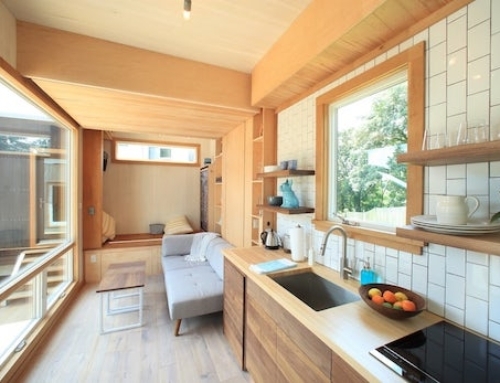 It’s also large enough to be considered a tiny house and can function completely off-the-grid, while it is also built using renewable materials. 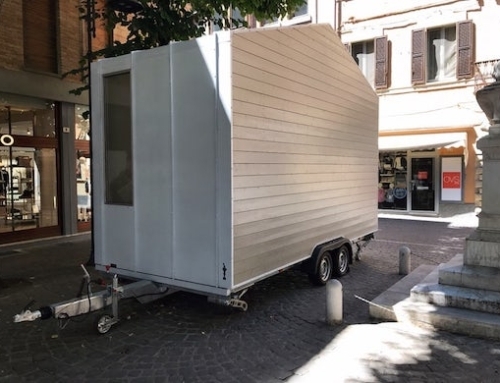 The external dimensions of the trailer are 18 x 7.4 x 6.9 ft (5.4 x 2.2 x 2.1 m), and it weighs 3,000 lb (1,360 kg). This means that it can fit into a standard-sized garage. 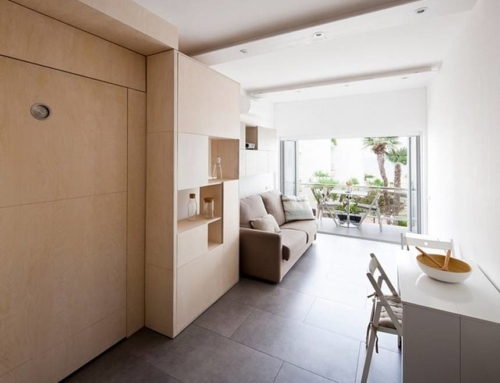 The interior yields 94 sq ft (8.7 sq m) of floorspace, which is enough to sleep four people. There is also a pop-top roof section, which gives some extra headroom. 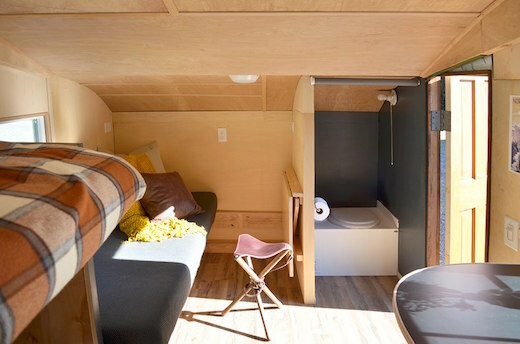 The trailer was built using FSC-certified wood, cork, and bamboo. 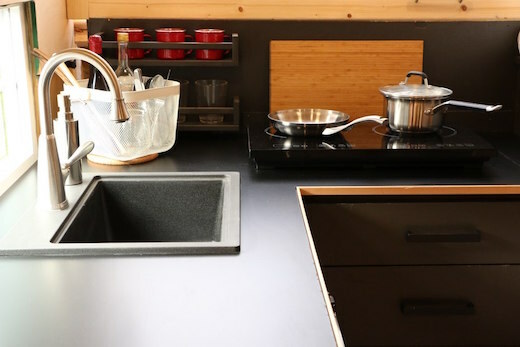 The trailer comes equipped with a kitchen that features a mini fridge and an induction cooktop. 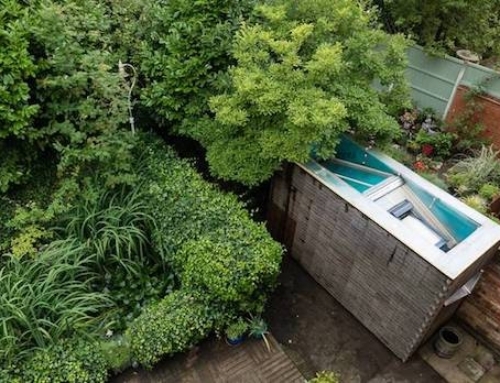 The bathroom features a composting toilet. 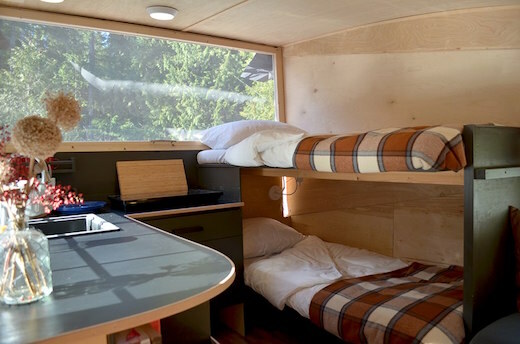 Sleeping is provided via a pull-out bed that doubles as the sofa during the day, as well as two bunk beds. The trailer has no RV-style electrical hookup, because it gets all the needed electricity from the 800 W solar array mounted on the roof. The harvested energy is stored in a built-in battery, which according to the company can last up to five days without a charge, depending on what is plugged in, of course. On future models they are planning on installing wind power. The trailer also comes with a 12 gallon (45 liter) fresh water tank, has energy-efficient LED lighting installed throughout, and is fitted with Energy Star-rated appliances. 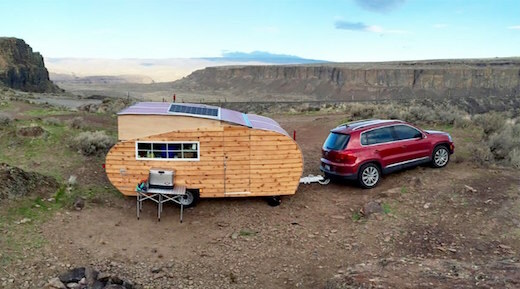 Homegrown Trailers has recently launched an Indiegogo crowdfunding campaign to fund the production of the first units. Early price for supporters of the campaign is $25,995, and this will likely be higher once the units are available on the market. 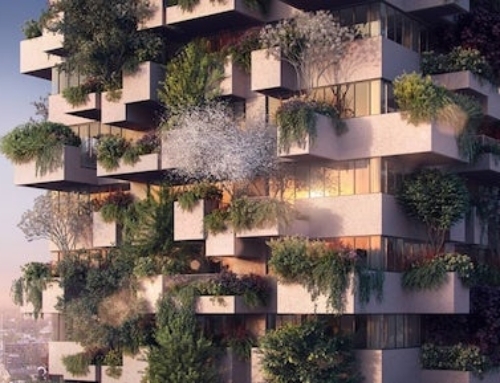 They plan to begin offering them sometime between January and June, 2017.